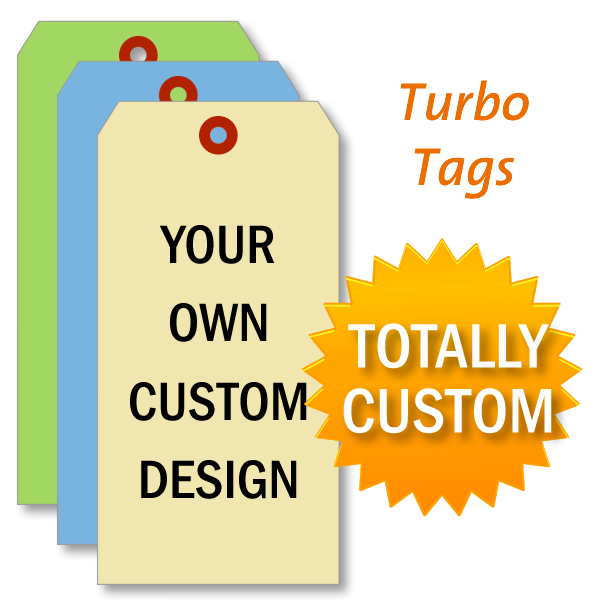 TurboTags are perfect when you need custom tags fast! Upload your artwork or type out your design. We'll send you a proof for your approval. • TurboTags have a 2 business day turnaround after the artwork is approved and released over to production by 12pm EST. • Tags are only printed in black ink for a quick turnaround. • All tags feature a reinforced fiber patch for extra pull strength. 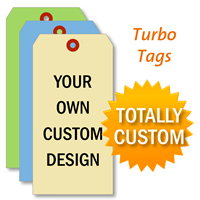 TurboTags™ are our fastest shipping tags. Tags only take two days to produce after artwork is approved and released to production before 12pm EST. Tags are made from a heavy-weight 13 pt cardstock. Up to 7 colors of cardstock to choose from. 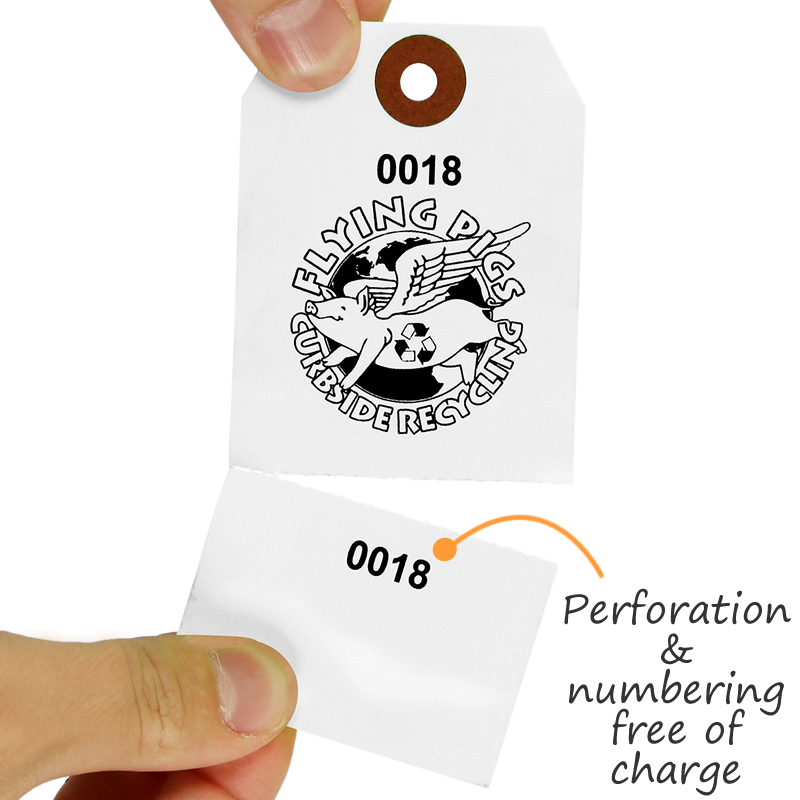 Tags go through a high quality inkjet print process. 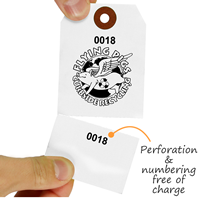 To ensure fast turnaround times tags are only available in black ink. A reinforced fiber patch is included on the eyelet for extra pull strength. Cardstock tags are not recommended for extended periods outdoors. Just what I needed. Speedy shipping and high quality. 10/10 will order again. Exactly what I ordered and quick too! Very easy to order. I sent a word document of what i wanted printed on the card, which was not perfect on my end, but the proof i was sent to review was exactly as i wanted it! Quicker delivery would be nice but i know the process takes some time. The tags were exactly what we wanted so we ordered more. Easy ordering, quick delivery.